This whole week has been pretty gloomy, so I wanted to find something with lots of color to brighten up the day. 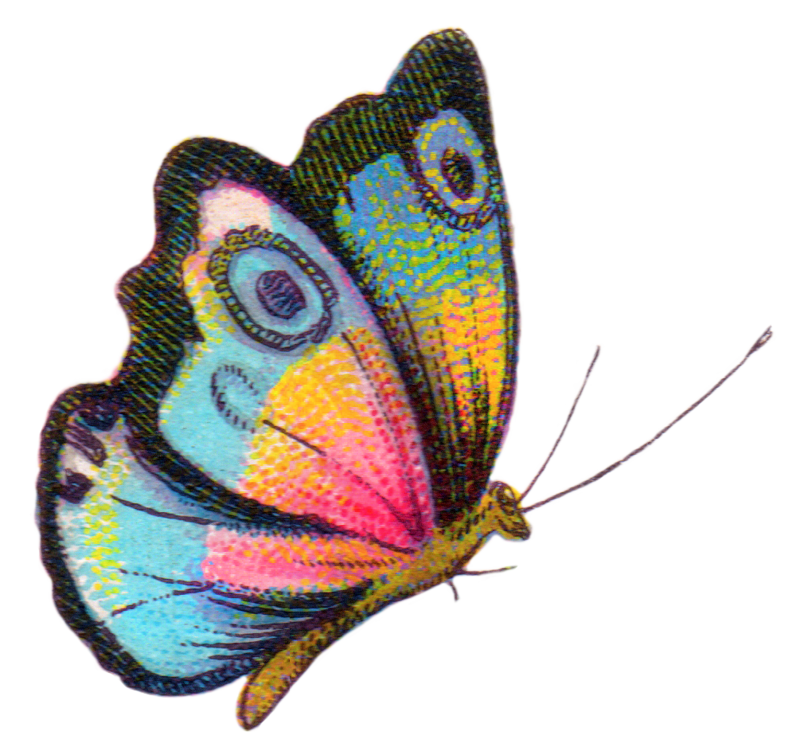 I thought this gorgeous royalty free vintage butterfly would do the trick. Since I took the background off for you, all the hard work is done, ready to be used in your next project. Just make sure you save it as a png to keep the transparent background. For more royalty free images visit my royalty free vintage gallery ! More images will be added in that category soon! Just what I needed today! A Happy Rainbow butterfly! Sending hugs and love!! !